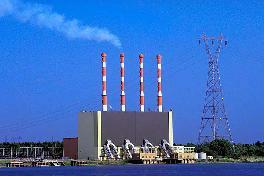 Welcome to National Power Services (NPS) your source for bottom line power generation and air pollution control solutions. We have been providing management and technical services for national and international power generation projects since 1993. Now more than ever it is vital for companies to operate their plants in the most efficient and economical way possible while conforming to the prevailing emission standards. That is why, NPS, by policy continuously maintains the diligence required to seek out the most cost effective means of meeting owner objectives. NPS keeps your bottom line in mind. This happens because NPS aligns its interest with that of its clients whether performing a routine borescope inspection, consulting on a combined cycle power plant, providing a feasibility study for a biodiesel cogeneration plant or engineering and manufacturing a custom abatement scrubber system. 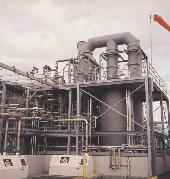 NPS consultants, project managers, engineers and technicians have over two hundred years of combined domestic and international experience working on industrial and aeroderivative gas turbines, steam turbines, generators, controls, heat recovery steam generators, balance of plant equipment, and air pollution abatement scrubbers. NPSaire is the air pollution control division of NPS. NPSaire designs and manufactures custom and pre-engineered wet and dry scrubber systems for a myriad of industrial applications. Some of the markets we serve are Semiconductor, Chemical, Pharmaceutical, Government and University Laboratories, Mining & Metallurgical, and Food Processing. NPSaire scrubbers can handle virtually any application. Our scrubbers generally fall into three categories depending on gas flow requirements. Central Scrubbers for flows greater than 1,000 cfm, Pilot Plant Scrubbers for flows 100 to 1,000 cfm, and Point of Use Scrubbers for flows under 100 cfm.